"Maple Key", sculpted, pierced, patinated, and riveted. 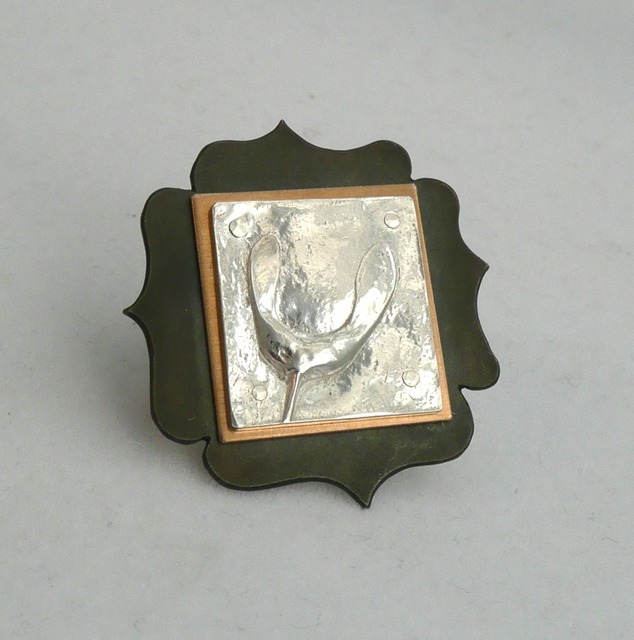 Fine silver (pmc), bronze, and sterling silver, 1.25" x 1.25", 2012. Sold.